This week tends to be an important one for the CGA each year. With the Denver Golf Expo coming up Friday through Sunday at the Denver Mart (I-25 and 58th Ave.), the association uses the show as an opportunity to connect face-to-face with members, potential members and golfers of all types. In that respect, the CGA is no different than a lot of the other exhibitors at the Expo. — The CGA is introducing a new logo for the organization. — It’s rolling out a new-look website. “We want to do a big bang at the Expo — the logo, the website, new brand,” CGA executive director Ed Mate said recently. 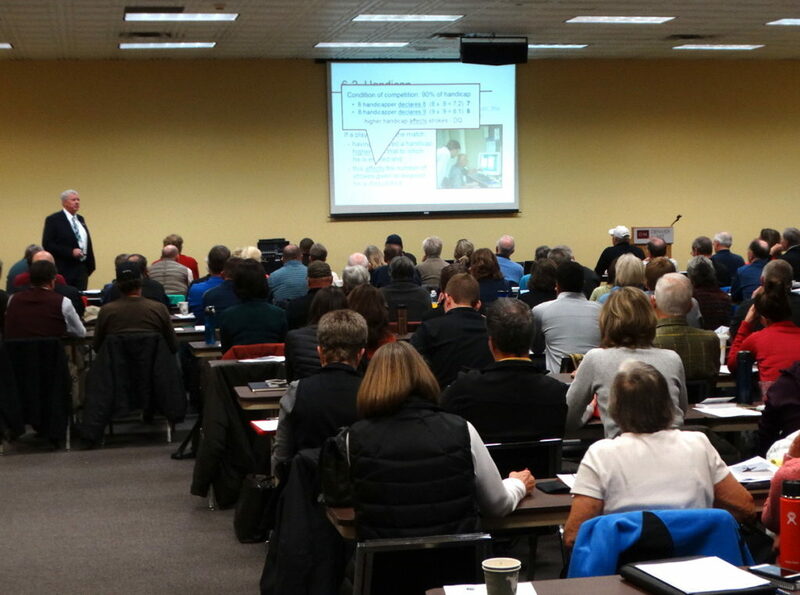 — And with the modernized Rules of Golf having taken effect on Jan. 1, the association is conducting a two-day Rules seminar in conjunction with the Expo that is sure to be both well-attended and informative. The change in the website ColoradoGolf.org is primarily a matter of functionality and ease of use. The new site will work well on a variety of platforms, whether it be smartphones, tablets, laptops, desktops, etc. In addition, it’s hoped that fewer steps will be needed to get users to where they want to go on the site. Those with strong attention to detail might remember that the CGA changed its logo just four years ago. But with the integration with the CWGA, which officially took place on Jan. 1, 2018, it was felt a new beginning was in order regarding some aspects of branding. “As far as the brand, the logo, I’m really excited about it,” Mate said. “Anytime you’re dealing with a piece of art (such as a logo), you’re dealing with likes and dislikes. We know as a family that the logo represents a culmination of a year of integration and the mutual respect the team developed over the course of a year. “If you had told me a year ago that we’re going to have a new logo, I would have said, ‘No we’re not.’ We just had a new logo in 2015. Why do we need a new one? (It’s) because we’re a different organization today than we were a year ago. It’s a constant reminder we’re not the same organization, that we have a different, broader, more inclusive organization than we did a year ago. Branding aside, there are plenty of reasons for golfers to visit the CGA exhibit site at the Expo this weekend. “You can come renew your membership, you can come get a free gift at the Expo (and) you can learn about the expansion of the member program because we’re definitely bringing on new partners that (provide) unique benefits — apparel, equipment, golf-related benefits to the membership,” said Ryan Smith, chief development officer for the CGA. “We’ll be prepared to share with them all of those things that will be available. They’ll be able to see the new logo and be able to take home their new logo’d merchandise. 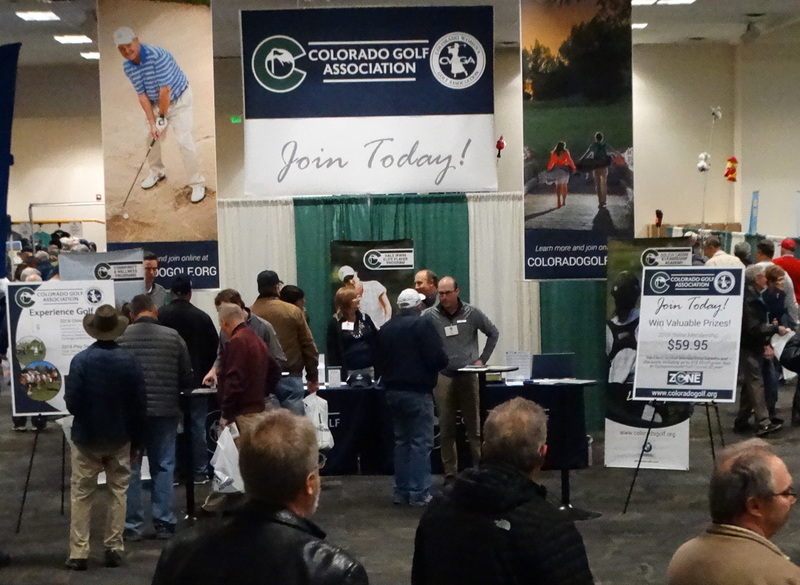 The bottom line is, the CGA sees the Expo as a chance to engage the Colorado golf community — both those people the association interacts with regularly and those it doesn’t. Also at the Expo, the CGA will conduct a two-days Rules of Golf Seminar (bottom in 2018), on Saturday and Sunday from 8 a.m. to 4 p.m. (REGISTER HERE no later than today — Monday). This is part of a major effort by the CGA to educate people about the new Rules of Golf. There was an extensive video series done by Mate and the staff at the end of 2018, and seminars are being conducted through the fall, winter and spring. To see the videos or for more information on the seminars, CLICK HERE. Additionally this weekend at the Denver Mart, there will be CGA-led Golf Genius software training seminars for tournament and handicap adminstators. Also at the Expo, the Junior Golf Alliance of Colorado — an organization founded and operated by the CGA and the Colorado PGA — will be overseeing a Junior Golf Experience area which include BirdieBall full swing and chipping — complete with large inflatable targets — and miniature golf. One of the focuses, junior golf-wise, this weekend will be the Youth on Course program, which first came to Colorado in 2018. The Youth on Course initiative allows JGAC members — who automatically are eligible for Youth on Course membership — to pay no more than $5 per round at participating YOC facilities during specified times. Interested youngsters can register for JGAC for 2019 on site this weekend. For a more general preview of this weekend’s Denver Golf Expo, CLICK HERE.